One hundred and sixty-nine minutes to tell us E = mc Love? NO! I knew my theory was a long shot, but that didn’t prevent my mind from exploring the possibility that this advanced screening was a hoax. That those of us in the theater were being subjected to an alternative version, a rough cut that had since been altered to resemble something genius. As the end credits rolled, the lights would come up prematurely and Nolan himself would emerge from behind the screen with a smirk on his face and a logical explanation on his breath. I found myself searching the faces amongst me for possible plants who were watching us and our reactions rather than the 6 story high image that shawn impossibly brightly before us. All the faces looked forward though, some in awe, others confused and more than a few as annoyed as myself. The Good: Christopher Nolan dislikes the 3D format and has been pushing for more directors to explore the IMAX format. For this alone he is somewhat of a hero. Nolan without doubt is a visionary and an artist who can reinvent age-old formulas. From Hal 300 and C-3PO to GERTY from Moon (please see Moon) we’ve been bombarded with AI represented on screen. Fritz Lang’s Metropolis takes us almost as far back as the beginning of cinema. Coming up with a new representation of this age old representation is a challenge to say the least and Interstellar succeeded fully with introducing us to Tars, the Rubik’s Cube of a speaking monolith, voiced brilliantly by Bill Irwin. 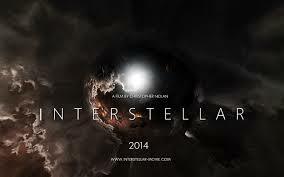 An hour in and you’re still captivated by the visuals, the mind bending concept of time relativity and Tars. Had the story been more about this sarcastic slinging center console the, entire film might have benefited. Alas, he was not and Tars took a back seat to the greater message which is love. That’s right, love. While not everyone shares my sentiment, there is a very humorous death scene involving a miscast and severely underdeveloped character as well as some equally comical spacesuit fighting. Unintentionly good, but not close to great. Perhaps the best part of all of this will be a South Park episode. The Bad: Despite those ghastly car commercials, I’m an admitted lover of Matthew McConaughey and have been since long before I was paid to be so. Watching my beloved Mud partake in absurd scenarios such as stumbling across a secret lab only to be put in charge of the flight mission moments later was tough to stomach. This is stuff that would get cut from SNL skits for being too ridiculous. There’s an actual sequence where the NASA crew who has been studying their flight patterns and possibilities for years are measuring their options with some level of frustration on an interactive computer monitor when McConaughey suddenly has an idea. This is not a joke. He actually flips the said computer monitor to reveal a dry erase board on the back of it, then proceeds to draw a simple oval along with a more logical route that involves going to the left and a little bit wider. But it gets worse. The Ugly: If you make it this far you’ll be treated to a life affirming third act which involves McConaughey spewing ridiculous lines such as “They don’t know about love” from an unknown dimension, while floating about and banging on multi-lined rubber walls. This was where I nearly convinced myself of my previously stated theory. When the last act mercifully ended, the house lights did not fade up prematurely, Nolan did not come forth with a smirk and sadly the audience did not disappoint. They applauded like circus animals trying to prove to one another, and ultimately to themselves that they had just witnessed something profound. They had not, nor had I. Posted on Saturday, November 8th, 2014 at 3:43 am and is filed under Reviews.